Most of the time, I feel like the luckiest person alive. I love my work and 90% of my clients are nothing short of amazing. But then there is that “some of the time,” and the 10% of my clients who are amazing in completely different ways. It’s not that they are bad people or organizations in any way, shape or form. It is just that they do not know what they want, how I can help them, and/or what their role in this whole consulting is. Let’s start with that first. Whether you are working with a consultant or not, before you tackle anything it really is a good idea to know what your expectations are. What do you hope to accomplish? What, at the end of all this (whatever this is) what will have occurred that will make you feel that you took the right path? And let me give you a hint here, if you are thinking of hiring or have hired a consultant to help you define your fundraising program, the outcome will NOT be “raised millions of dollars.” The outcome should be: “have the foundation in place from which we can now go out and raise millions….” Most consultants help to define best ways for YOU to accomplish something; few actually do the work for you. But even if you are not bringing outside help in, do think seriously about your desired outcomes. While I would be the last person to turn my nose down at dollar goals, I do think that too often we focus on money rather than the really important stuff like building a strong donor pool, creating an awareness, developing a structure. Always, when I start working with a new client, we develop a “scope of work.” Indeed, generally that is the focus of my proposal and how I craft my approach. Scopes do change in what I’ll call the “discovery” phase as we assess the landscape and see what is there, but typically it’s the details that get edited and not the plot. However, every so often I find that the scope of work is so divorced from the reality on the ground it is almost breathtaking. But again, most of the time, we talk it through, get grounded and move forward, albeit in a different direction than originally anticipated. Once in a great while—and I am in one of those whiles with one of my clients right now—I am clearly in a different reality. I am asked to create something viable out of whole cloth. Which I can do, but we are all going to be disappointed. Which leads to the second issue, not understanding how I can help. No consultant, no matter what some of us would like you to believe, can provide you with a magic bullet. 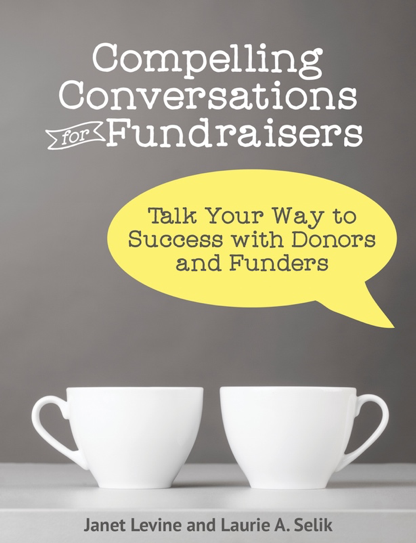 Fundraising, strategic planning, building a stronger, better board—all take a lot of work. We can write a fantastic plan, but it will be the one that sits on the shelf unless it is (a) connected to your reality and (b) is something that you will use after it is written. Honest, ongoing conversations about how to use your consultant will make it a better engagement for both of you. In fact, honest, ongoing conversations with staff and, especially volunteers, about the same issues will make a world of difference. Be very clear about your expectations—what you want them to do (and not to do) and—leading right into the next issue, what your role in all of this is. If you want me to help you improve your fundraising capacity, for example, I need to have access to information and to people. If you want a plan, I need to understand where you are and where you hope to get. I can’t do this alone; I need your time at the very least. And if I ask for specific information, it’s really helpful to get it. By the same token, I should be able to give you what you ask for. It is—or should be–a partnership. Again, it’s much how you need to work with your Board, or how your Board needs to work with you. Too often, I go into an organization where staff tells me that the Board isn’t doing its job only to hear from the Board members that they are not getting the guidance and assistance they need to be successful (or even to get started!). Clarity on both sides of what is expected, commitment to a timeframe, and sharing of knowledge is critical for success. This entry was posted in accountability, consulting and tagged clients, communications, consulting, discovery phase, donor pool, Goal-setting, scope of work. Bookmark the permalink.